Food in Portland is a serious business. As is coffee. And beer. The Portlanders (not Portlandians, as I kept calling them) have made fantastic food fantastically affordable. 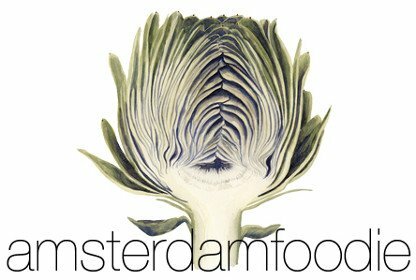 Of course, you can go out and spend a lot of money (especially if you drink wine) but the city does cheap eats particularly well. 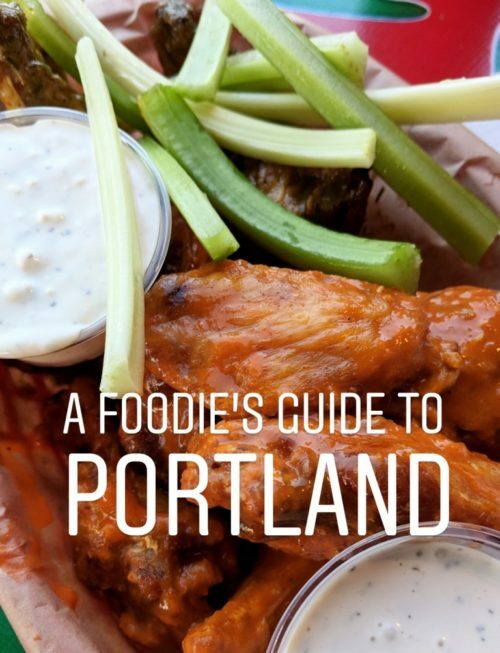 Not least because the food truck scene here is HUGE – Portland is home to dozens of so-called food cart pods throughout the city, where you can eat spectacularly for around €10. 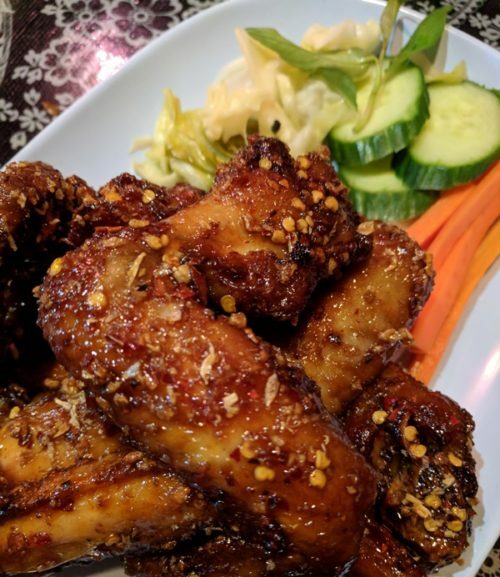 A huge number of Portland’s restaurants also offer Happy Hours – some of which run from midday till as late as 7 pm – during which you can score hefty discounts on a smaller menu of food and drinks. If you’re on holiday (especially if you have European jetlag), you can easily bar-hop your way through an entire afternoon just by hitting the Happy Hours. 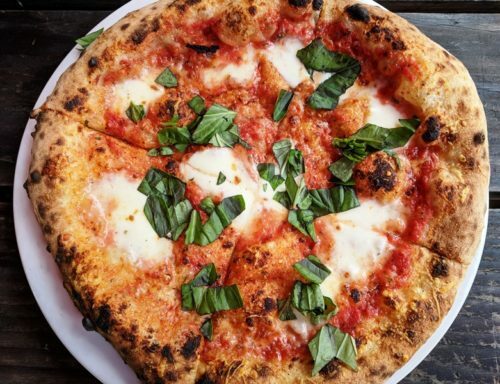 Happy Hour at Life of Pie – margarita pizzas for $5! Portland is food truck heaven – wherever you are in the city, you’re bound to see a little cluster of them serving up cheap eats at all hours of the day. They’re so popular, you’ll even spot food carts at the airport! 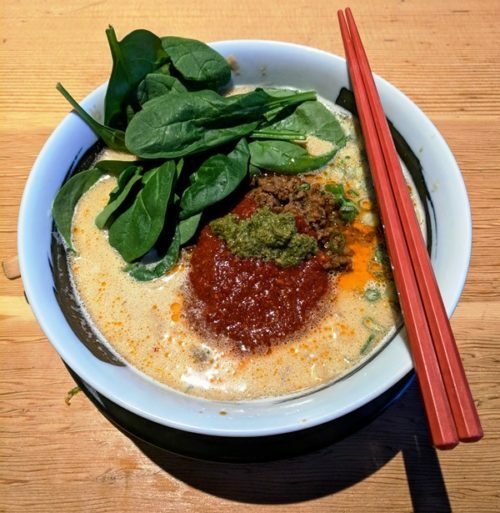 Tan Tan ramen at Kayo’s Ramen Bar – the winner of Ramen Day! I feel like Portland’s tacos deserve their own category, although in reality I’ve mentioned all three of these places in other sections of this food guide. 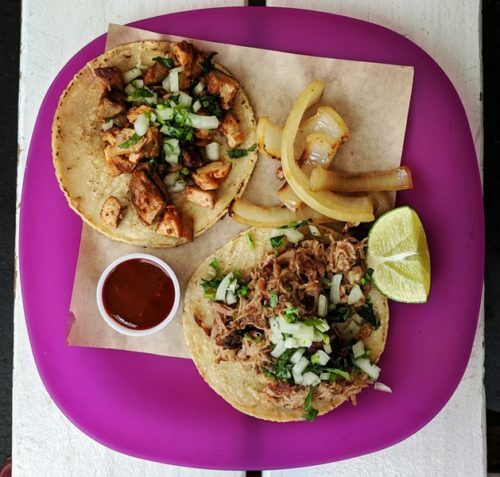 For excellent chipotle pork tacos, be sure to head over to the Tehuana Oaxacan Cuisine food cart at Killingsworth Station (see Food Cart Pods above). For a sit-down restaurant vibe (but still incredibly casual) and killer margaritas, try Por Qué No? – they have a couple of different locations and a good Happy Hour (see Happy Hours above). And finally, if you’ve never had Japanese tacos, you absolutely must try the Tan Tan tacos at Kayo’s Ramen Bar (see Ramen above). My Portlander friend is from Melbourne, which she argues is coffee capital of the world. But even she says that Portland gives the Aussies a run for their money. And I can’t say I disagree. 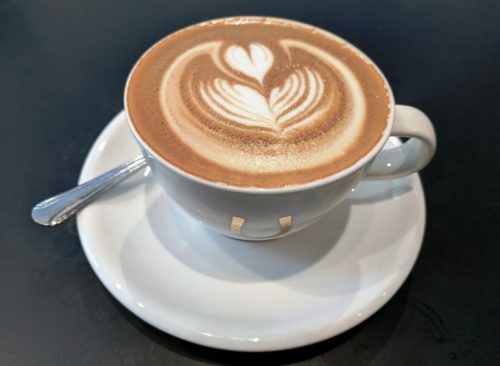 The best coffee (in my not very educated opinion) that I tried during my trip came from Case Study (casestudycoffee.com) – the flat white was fruity and strong, the milk cap a perfect temperature. I also loved their spicy chai latte, which is saying something as I usually can’t stand chai! Another good bet is Ristretto Roasters (rrpdx.com), also with several locations throughout the city. And finally Stumptown (stumptowncoffee.com) – their coffee is a little bitter and dark roasted for my taste but many people swear by them, and they started right here. 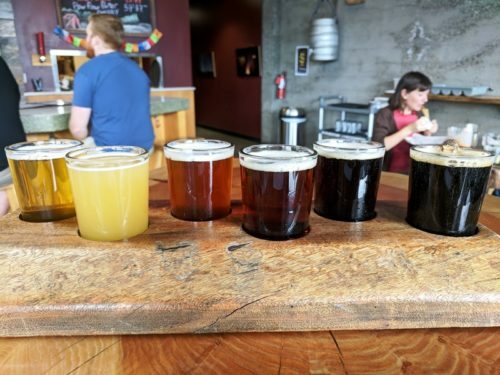 I have it on good authority that Portland is also known as “Beervana”, and with good reason – the craft beer here is taken as seriously as everything else the Portlanders eat and drink. I didn’t get to visit as many breweries as I’d have liked in the end, but I would recommend the couple I managed to fit in. Base Camp (basecampbrewingco.com) offers a flight of six beers, which is great if you want to try a bit of everything. I liked their amber ale the best, but I appreciated the opportunity to take a sip of most of the menu (especially their signature smoky porter, complete with toasted marshmallow!). Also fun was Breakside Brewery (breakside.com) where Happy Hour lasts until 6 pm on weekdays, and you can try excellent pilsners and IPAs with a ginormous plate of nachos for a small discount. A flight of beers at Base Camp Brewery – Beervana! 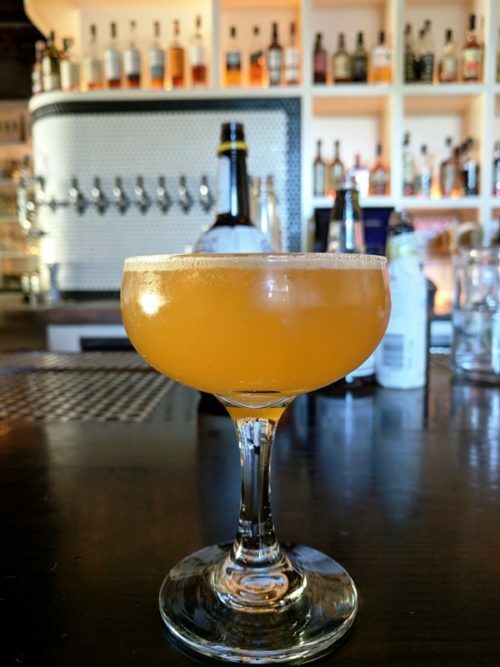 Given how expensive wine is in Oregon (even the local Oregonian wines retail for well over $20 a bottle in shops and over $50 in restaurants), the cocktails seem surprisingly good value. Especially if you hit up a Happy Hour or two. I loved the house punch and the ancho daiquiri at Victoria Bar (victoriapdx.com), the old fashioned at Bar Bar @ Mississippi Studios (no website), the daiquiri at Keys Lounge (keyspdx.com), and the margarita at The Rambler (ramblerbar.com). 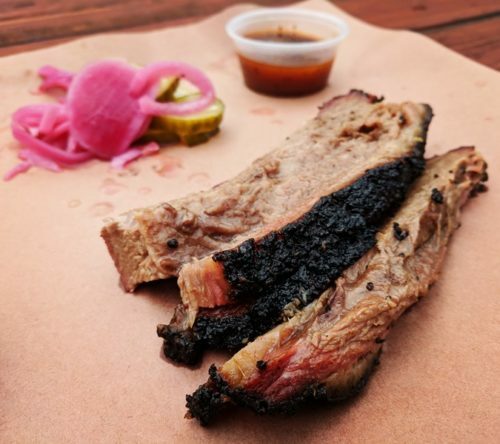 All bars in Portland are legally obliged to serve food as well – so you won’t go hungry, nor get too drunk from drinking on an empty stomach. Tourist tip! Carry your passport as ID – I got carded several times (I’m 38 and look it) and passports are the only ID they accept from non-US citizens. Inevitably, I visited a few restaurants that didn’t fit into any of the categories above. But there were a couple that you can’t go to Portland and miss! Visiting the Pacific Northwest? Check out my guide to 24 hours in Seattle!